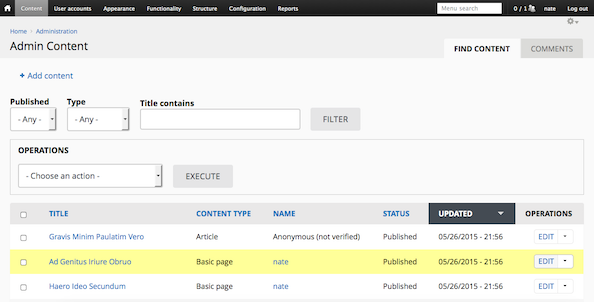 The first minor release version delivered on May 15, 2015 and it's full of great features! It's been 4 months since our the 1.0 release. According to our Roadmap, that means it is time for our first minor version: 1.1.0! Our updated administration brings the editorial experience into the modern age with more readable text, finger-friendly buttons, and smooth transitions. Backdrop 1.0 included the #1 and #2 contributed modules in core. Now the #3 module "Token" joins the party! 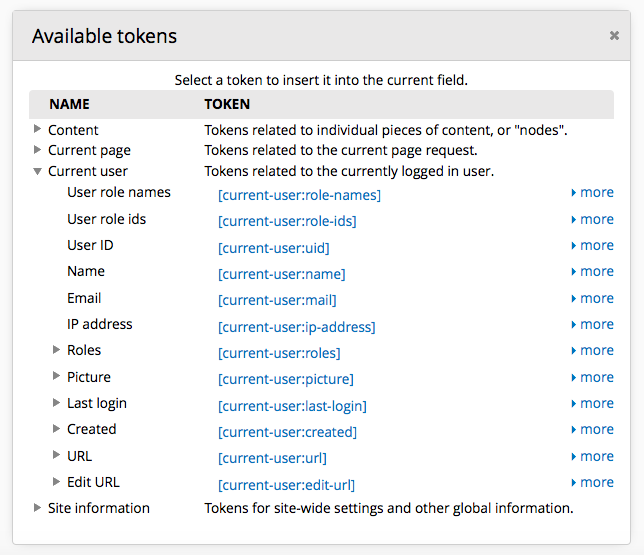 The full token UI and field tokens are now directly in core, no need for a separate module. Using the Backdrop dialog system, the new Token integration is better than ever! Why stop at the top 3 modules? Module #4 "Pathauto" comes along for the ride as well! 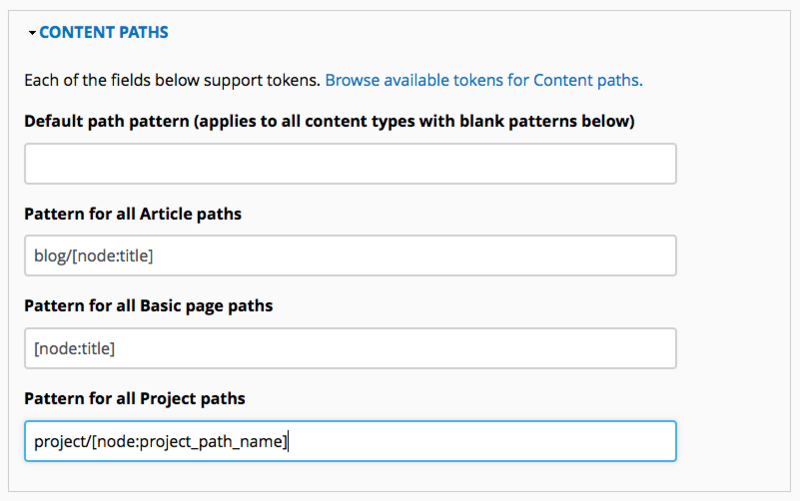 Pathauto is now built directly into Path module, allowing you to generate automatic URLs for your content based on tokens. Our new update server is up and running! If you're running official versions of modules, you'll now be notified when new versions are available. To find official releases, check the "Releases" tab on the GitHub repository. Our project listing pages are coming soon to BackdropCMS.org to make projects more discoverable. Backdrop has seen tremendous growth for a project that's only been in the wild for 4 months. If you're interested in porting your module to Backdrop, check out our porting docs and consider joining the Backdrop Contributed Group on GitHub! If you haven't given Backdrop CMS a spin, it's a great time to do so. Backdrop includes great features such as an update path from Drupal 7, Views in core, all-new layout management tools, and file-based configuration management. This announcement also released to the Backdrop CMS mailing list and may be viewed as a stand-alone page.